Are you a stylist or makeup artist who wants to work in the entertainment industry? 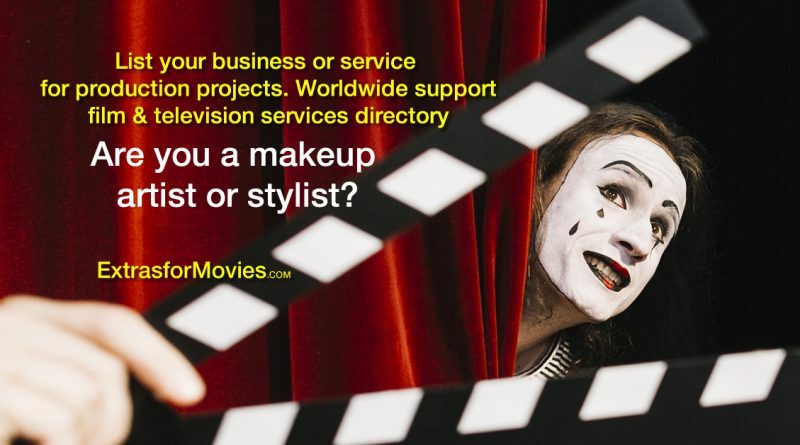 Extras For Movies is has a new department production directory. The directory lists production services worldwide. Makeup and styling is needed for television, film and events where actors and entertainers require makeup application. Work as a makeup artist sub-contractor for films and television. Our directory is an avenue to get involved in the industry. Generate extra income and meet production staff who can use and recommend your talents to others. Review and submit your listing for review. If you need additional help or have questions, please feel free to contact us.